. 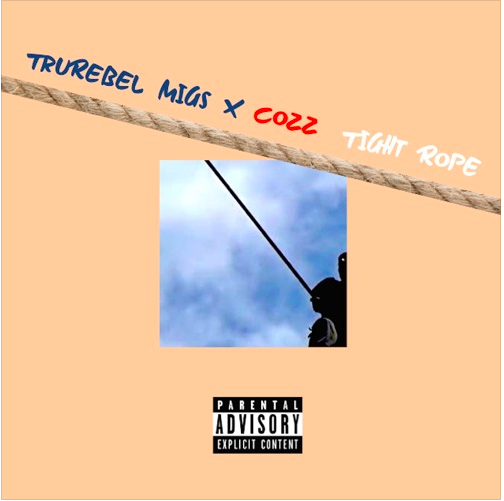 @TruRebelMigs Taps Dreamville's Cozz For "Tight Rope"
TruRebel Migs has overcome adversities in his life that would have left many discouraged.After discovering his talent for music, Migs developed his own musical style that’s defined by a poetic mixture of clever wordplay, complex rhyme schemes, and a barrage of double - at times, triple - entendres that leave his listeners eager to rewind and discover new messages embedded in his lyrics. In 2017, Migs unveiled his debut mixtape, “The Books of a Gnostic.” To kickstart the new year, Migs taps LA artist, and Dreamville signee, Cozz for his first 2018 offering, "Tightrope."